Coulier’s Full House aired for 192 episodes from 1987-1995. It can now be seen on Nick at Nite. Additionally, the show runs worldwide, syndicated in over 100 countries. Coulier followed this success by hosting his second prime-time hit series, America's Funniest People, which ran on ABC for four seasons. He is also co-starring in Fuller House, which began on Netflix in 2016. He has also hosted ABC's World's Funniest Videos and his own series, Out of Control, for Nickelodeon. Dave hosted Animal Kidding on the Animal Planet Network. He also appeared on VH1’s #1 rated series, The Surreal Life, and hosted multiple seasons of America’s Most Talented Kids for the iNetwork. Coulier also starred in two movies, Shredderman for Nickelodeon and The Family Holiday, which aired on Lifetime, and co-starred in The Disney Channel’s highest rated movie, The 13th Year. He has also had great success doing voice-overs for TV, including many Saturday morning cartoon favorites and HannaBarbera’s Scooby Doo and Jim Henson’s The Muppet Babies. He has performed his clean stand-up on The Tonight Show, HBO's Detroit Comedy Jam and HBO's Comic Relief at Radio City Music Hall. He continues to sell out shows at colleges, corporate events, casinos, nightclubs, and theaters. He lives in Los Angeles. Reiser has been voted one of the Comedy Club’s Top 100 Comedians of all time. He co-created and starred in the critically-acclaimed NBC comedy, Mad About You, which garnered him multiple Emmy, Golden Globe, American Comedy Award, and Screen Actors Guild nominations. More recently, he earned acclaim for his supporting role in the 2015 Golden Globe-winning and Academy Award-winning film, Whiplash. Reiser joined the cast of Netflix’s Stranger Things for the series’ second season, which was released in October, and recently renewed for a third season. In a role created with him in mind, Reiser played Dr. Owens, a high-ranking member of the Department of Energy brought to a small town to investigate supernatural situations. He has also collaborated on the critically-acclaimed hit Amazon series, Red Oaks, in which he plays Doug Getty, president of a New Jersey country club in an 80s-themed setting. His performance was described as “one of his absolute finest, not just of late, but of ever.” The shows third and final season premiered in October. 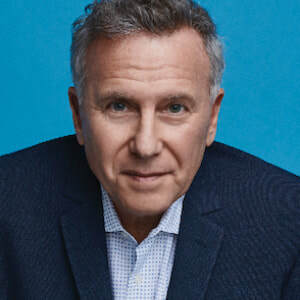 Additionally, Reiser has been cast in the Amazon mini-series, The Romanoffs, centered around the modern-day descendants of the mysterious Romanov dynasty. Reiser also co-stars in the action-comedy, The Spy Who Dumped Me, in theaters now. Other movie credits include War on Everyone, The Book of Love, The Little Hours, I Do….Until I Don’t, Diner, Bye Bye Love, The Marrying Man, Aliens, One Night at McCool’s, and Beverly Hills Cops I and II.